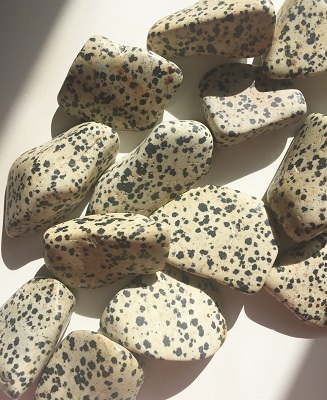 Beautiful "spotted" Dalmatian Jasper tumble stones from Chihuahua, Mexico. 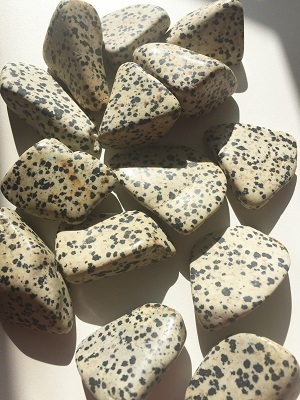 Dalmatian Jasper is a calming stone that will gently cleanse while energizing your auric field. 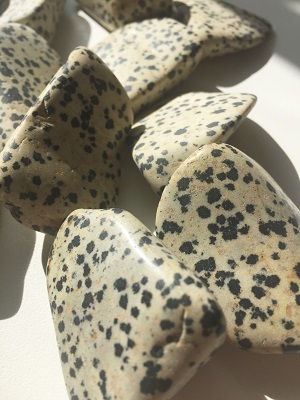 Dalmatian Jasper also helps to strengthen loyalties and nurtures relationships within your family and among your friends. 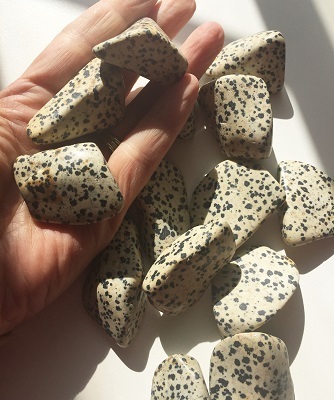 Dalmatian Jasper is a great stone for those who are working with animals. Dalmatian Jasper also offers relief from those who suffer from nightmares, negative thinking, and depression. Dalmatian Jasper elevates your mood keeping you relaxed and in good spirits.